No salary hike for Mukesh Ambani for 10 years; but how much does he get? 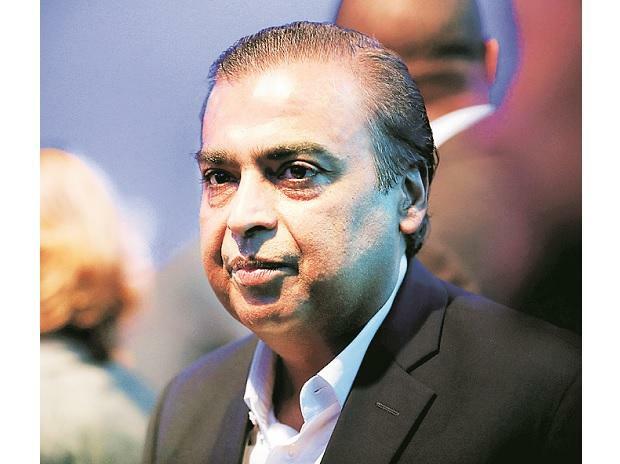 Industrialist Mukesh Ambani is keen on the e-governance space and has set up a subsidiary company in Estonia to get a grip on the solutions, government officials of the Northwestern European nation have said. Ambani has formed a subsidiary with the Estonian government's former chief information officer Taavi Kotka. The joint venture will be looking for solutions in the e-governance space, Viljar Lubi, vice-minister for economic affairs and communications of Estonia, which is a European Union member, told a group of visiting journalists recently. He, however, did not elaborate on the exact scope of the partnership, saying government only plays the role of a facilitator. A Reliance Industries spokesperson refused to share details of the project or plan. Multiple officials in Estonia, which is among the most digitised countries in the world, maintained that the role of private companies has been crucial in developing the digital infrastructure used by all most all of its citizens. The country claims of 99 per cent of digital penetration. Ambani, the richest Indian who runs the most profitable domestic company Reliance Industries, took an e-residency of the European nation in May this year, the officials said. An e-residency helps a foreigner access the EU opportunity by helping him/her form a company, among other benefits. "We've one of the founders of e-residency programmes, Kotka, who is currently working together with Reliance and Mukesh Ambani to digitalise India in terms of accessing digital identity. "That is why Ambani became an e-resident recently," a spokesperson for Estonia's e-residency programme said. An email sent to Reliance Industries spokesperson on this aspect was also not answered. Asked if Ambani has visited Estonia, Lubi declined to comment, but named other Indian industrialists like Infosys co-founder NR Narayana Murthy as among those who have visited their country to have a closer look at the work on digitisation. Lubi said while digitisation has helped Estonia to get connected its scattered and very low population base the country with a large land mass is home to only 1.4 million citizens -- it can help India as well because it has a large population to be reached out to. There are just about 2,000 Indians who have opted to become e-residents of Estonia so far, primarily to access the business opportunity presented by the European Union. Over half of them are freelancers, who unlike big companies, cannot afford to set up subsidiaries in any EU country, the official said. An e-residency enables a person to work for EU clientele and is lapped by startups looking for a footing in the EU. Lubi said Estonian journey to digitalisation started right after regaining independence in 1991 from the erstwhile USSR due to a resource crunch and later it discovered the efficacy of the same as the world went digital. At present, nearly all- - 99 per cent to be precise -- government services are digital in this country and an Estonian gets to know who all have accessed his/her records. If a citizen observes any activity on her information being accessed by an unauthorised entity, including any government department, then she can initiate legal action. The e-residency initiative was started in 2014 as a digital identity for foreigners. Apart from forming a company, an e-resident can access banking services, payment processing and also gets a digital signature. India ranks ninth among the list of countries from where e-residents are coming in, but the pace of growth is very fast, e-residency programme's managing director Kaspar Korjus said. An e-resident has to pay 100 euros monthly fee along with an enrolment fee of 100 euros for a five-year membership, he said. Tallinn is looking at the programme as an initiative to build its soft power and create "friends of Estonia" who will be of help in a scenario of any threat the country, which borders Russia, he said.